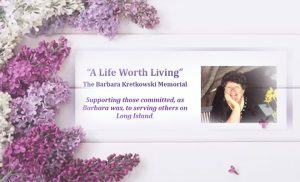 Join us for the The 2nd Annual Barbara Kretkowski Memorial fundraiser for the Diocese of Rockville Centre’s School of Missionary Disciples Scholarship Program. Last year’s fundraiser awarded nine recipients with this scholarship. Barbara was a graduate of this program and believed it was instrumental in her growth as a Christian Steward. Live Music and Fun for a great cause!